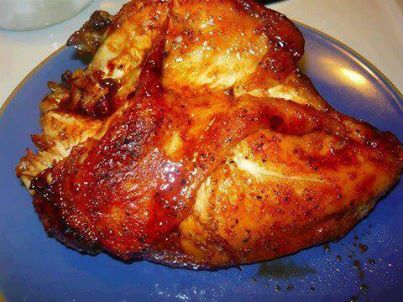 Three Ingredient Chicken Recipe is a very tasty and simple recipe which bakes chicken which has been seasoned with Italian seasoning mix and brown sugar to create a delicious baked chicken recipe. Preheat oven to 350 degrees F. Mix the Italian seasoning packet and the brown sugar. Coat pieces of chicken on all sides. 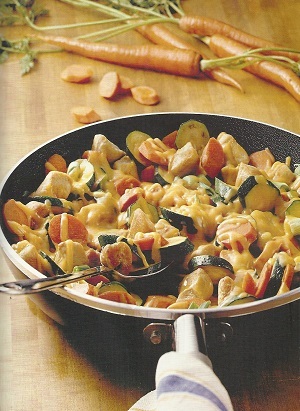 Place the chicken pieces, single layered, into an oven proof baking dish or on a pan lined with foil. Bake at 350 degrees F until the chicken is golden brown and the juices run clear or an instant read thermometer inserted into the center of the chicken reads 170 degrees F.